Cabin on the Jersey Flowage. Wildlife and water. Nice level 1.2 acre lot with all mature trees. There is a nice dock, fish cleaning house, small garage for storage. 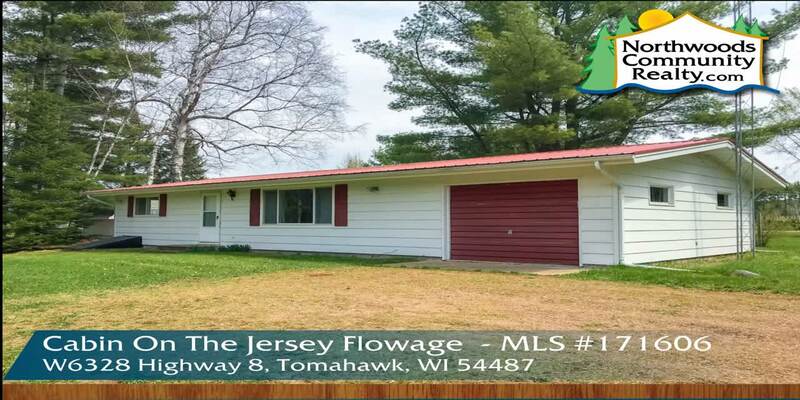 Close to Golf course and just a short ride to Tomahawk. 200 feet of water frontage. The two bedroom, one bath home, has a new metal roof, newer flooring, and new windows. Priced at well below assessed value. The blue circle drawn on the map represents the area which is most likely to contain listings comparable to W6328 Hwy 8. If you wish, you may adjust the circle by dragging the white center handle to move it, or dragging one of its other white handles to resize it. Press the 'Next' button at the top when finished.